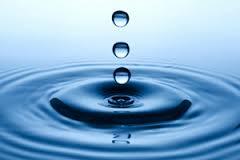 Newsletter: Is having water in your house important to you? Planning to buy a house in a rural area? Drill a well? Own property already? You need to know what the Hirst decision is and what it means! Next week we will be publishing our quarterly ezine, to coincide with the July 15th event. Many conservatives were disappointed when I-1552 failed to make the ballot due to insufficient numbers. Email posted on the website here. Skagit Republicans are having a picnic with Glen Morgan on July 22nd. Glen was the Director of the Property Rights Division of the Freedom Foundation from 2011 to 2015 and now is the Washington State Executive Director of CAPR (Citizens Alliance for Property Rights). Doris Schaller is retiring from the elections office. Despite almost certainly being democrats, her office has (nearly as I can tell) been generally well run, so this change is not without anxiety for us. WSF is holding a series of meetings about fare increases. Journal reports. There were a couple letters on the affordable housing debate here and here. The Lopez Islands Weekly published a guest editorial criticizing the high volume of tourism and the number of vacation rentals. Washington Policy Center had a full length article on the new paid family and medical leave law in WA State. “DOJ asks Washington state elections boss how she keeps ineligible voters off rolls” (Seattle Times). Washington Wire was (I believe) the first to report on this, and some conservatives are angry with Kim Wyman (R) for not complying with the broader parts of the request. Others are happy not to have extended private information including Social Security numbers shared with the president’s election commission. July 15, 2017, 11:30 am – 1 pm @ Earthbox in F.H. July 15, 2017, 2 pm – 4 pm @ Earthbox in F.H.